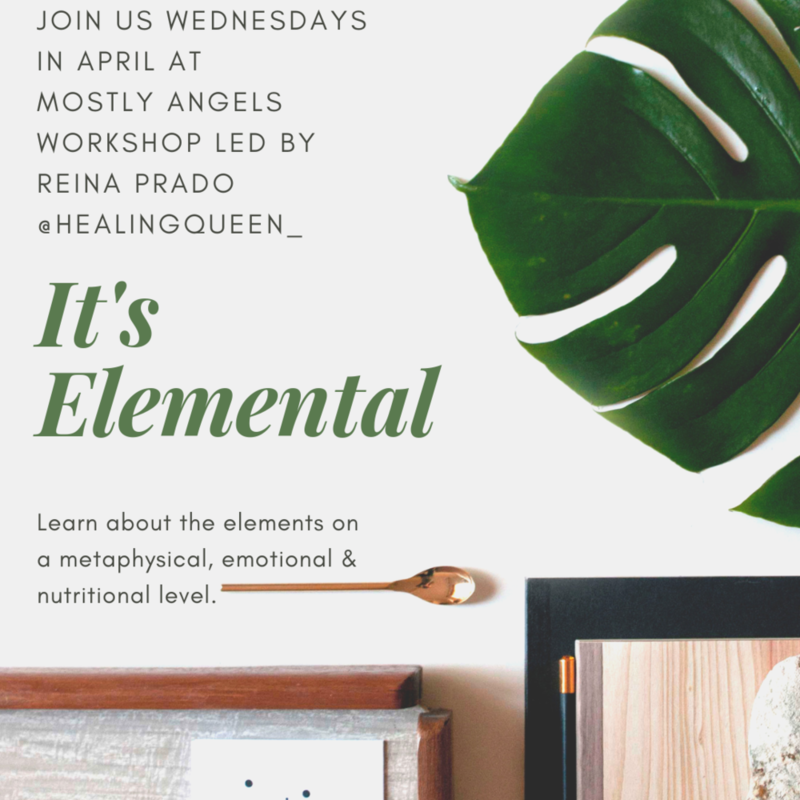 It's Elemental will lead participants through a deeper understanding of the five elements and how it can inform us about our physical, emotional, and mental well being. There will be movement excercises, esoteric teachings, food recipe(s), reflection & meditation. Dress comfortably, bring a mat, water, and a journal too. 4/3: Earth - What helps you get grounded? When you're ungrounded what do you notice? We'll focus on root chakra and help with grounding meditations. 4/10: Water - Are you able to go with the flow? How are your relationships? How do you feel about yourself sexually? We'll focus on sacral chakra and help it come into greater balance. 4/17: Fire - We will explore questions around motivation, anger, and swiftness of action to get things done. We'll also target the solar plexus helping to ignite the 3rd and 6th chakra for third eye. Workshop is $35 a week or $125 for the series. Register through Mostly Angels. To prepay the series contact the store directly.